The Cult "2 Short" 2019 BMX Frame - Brakeless is because of the short rear end 12.5" and the stand over 8.65" perfectly for modern technical BMX riding. 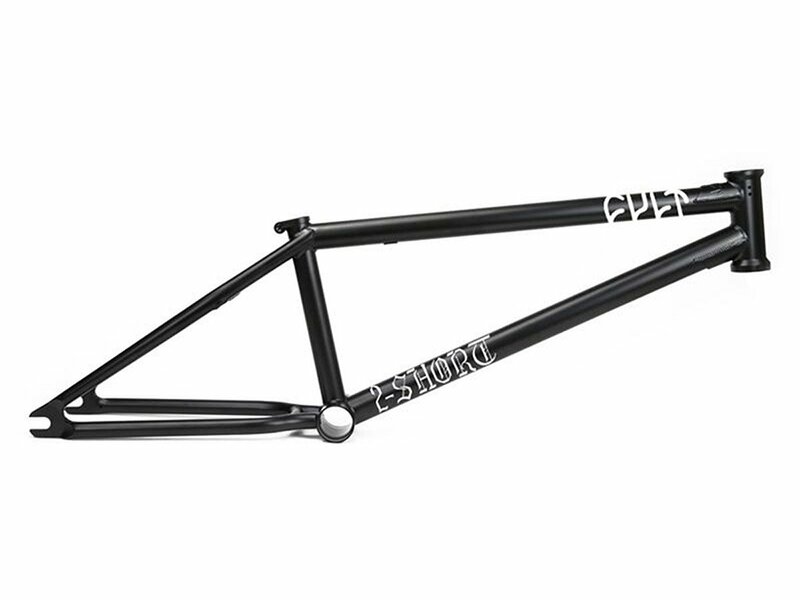 The Cult "2 Short" 2019 BMX Frame - Brakeless is a brakeless BMX frame and fits 2.5" BMX tires. Chain Stay (CS): 12.5" - 12.8"